Some types of foods are useful for boosting the immune system and also useful for stopping colds and flu. A necessary nutrient, vitamin C works as an antioxidant. Antioxidants help to fight free radicals, a sort of unbalanced particle that harms to the immune system. Citrus fruits and juices (for example grapefruit and orange). Green and red bell peppers. Vitamin E is a great antioxidant like vitamin C.
Different Research works have advised that eating plenty of vitamin E is essential for continuing a strong immune system, mainly for older people. Zinc is a vital mineral that is regarded as making some immune cells. The National Institutes of Health states that the small amount of eating zinc type foods may damage your immune function. Carotenoids are another type of foods that have a high volume of antioxidant and you can get pigments naturally from some plants. If you eat carotenoids type foods, they convert into vitamin A (a nutrient for controlling the immune system). Omega-3 fatty acids are a category of necessary fatty acid known to fight against inflammation and retain the immune system in control. Omega-3s can help to fight with different infections. The study advises that omega-3s also can defend against immune system troubles like Crohn’s disease, inflammatory bowel disease, and rheumatism. Include these foods to increase your omega-3 eating in your diet. For keeping healthy your immune system, it’s vital to get enough sleep, exercise on a regular basis, and control your stress. Although food supplements have a high volume of antioxidants and other nutrients. 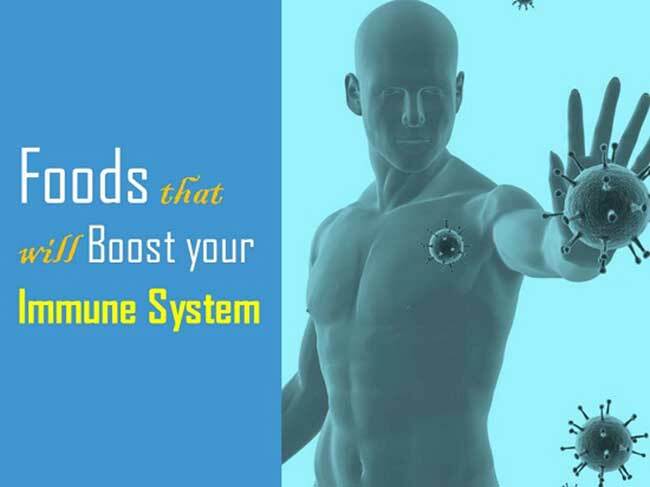 Some research works have proven that taking food supplements may bring limited benefits to the immune system. If you are still thinking about to take them, ask your doctor first to consider the pros and cons. A few foods that will improve your immune system, try including garlic, foods that are high in probiotics (for example kefir and yogurt) and green tea in your diet plan.